It’s not often that we have a problem counting huge stacks of money (because how often are you lucky enough to have stacks of bills? 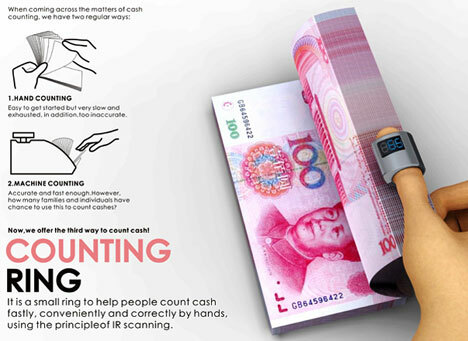 ), but the Counting Ring concept from designers Wei Hansen, Li Shaochen, Xu Jinrui, Qi Yibin and Zhao Ying could go a long way toward making it easier anyway. 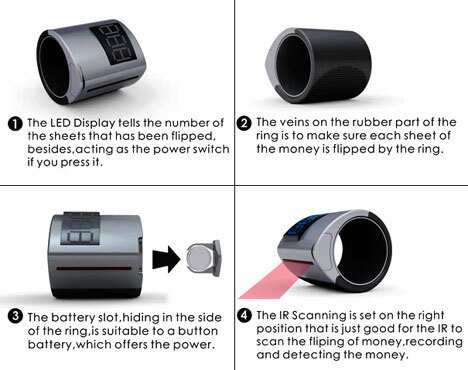 The ingenious ring fits on the thumb and uses infrared scanning to count each sheet that the wearer thumbs through. Small rubber flaps, or “veins,” ensure that every single bill is counted. The LED readout on the side of the ring tells how many bills have been passed over the ring’s surface. Presumably this means that every bill in the stack has to be of the same denomination, but this method is still much easier than counting every note by hand. 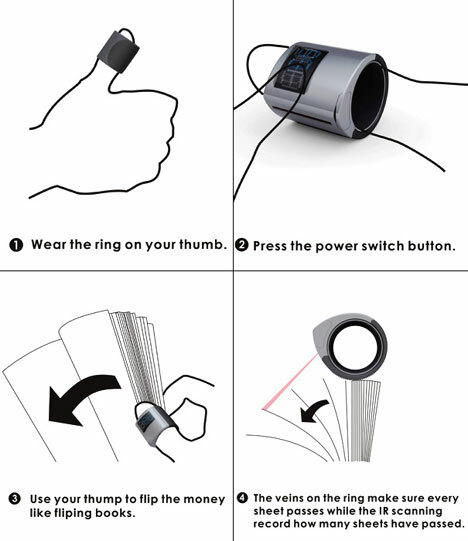 The ring would undoubtedly be useful in banks and businesses where a large counting machine would be impractical. If it’s ever produced as a consumer product, we’d definitely like to see rappers counting their cash with this rather than just bathing in hundies. 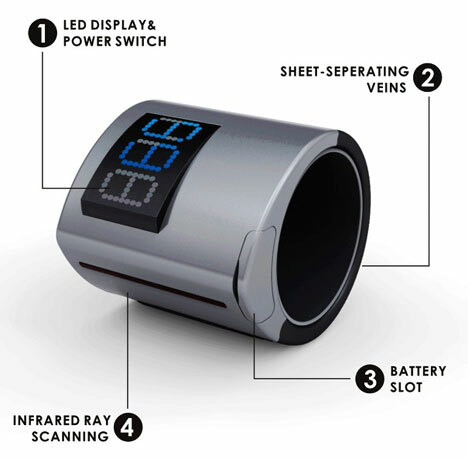 See more in Various Gizmos or under Gadgets. November, 2010.